Pia Winberg is a non-conventional scientist who has pursued a career spanning science, industry and community. 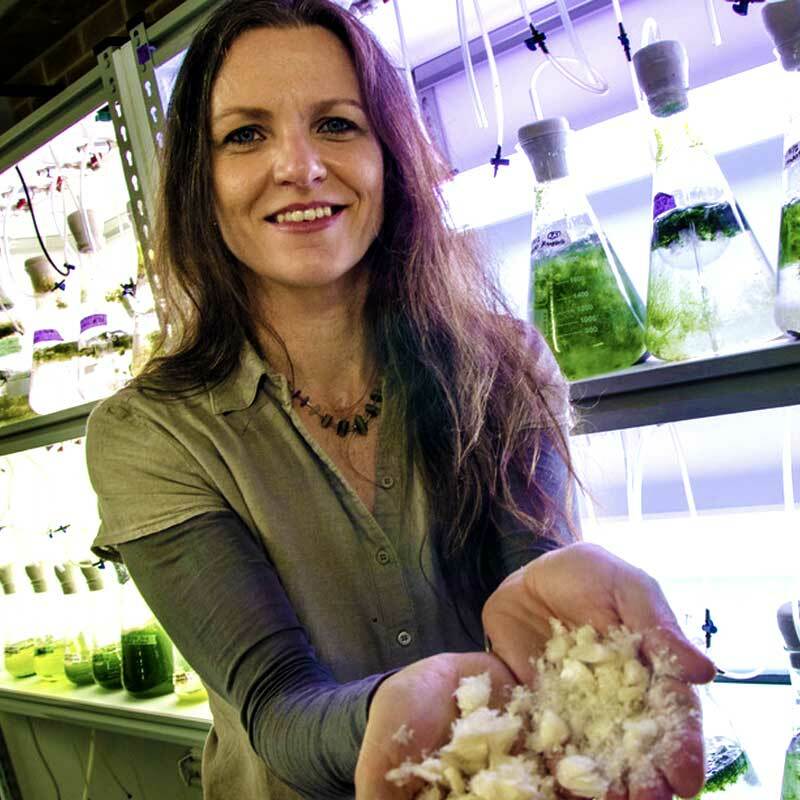 Her foundations in marine systems ecology and a local perspective have shaped her journey from understanding global-scale disruption of molecular cycles to creating a new platform of market ready products from seaweed. These include an award-winning corn chip and bio-inks for regenerative medicine. The products are Pia’s way of joining nodes of knowledge and communicating scientific solutions to a bigger audience. She believes that change can only happen through people, but for people to change things they must also understand by being able to touch and see the story and the solutions. And that means that science steps out of the exclusive zone into an inclusive zone; at the bar with some seaweed corn chips, wine and good conversation about the exciting possibilities for the molecules hidden in seaweed. Dr Pia Winberg is an Honorary Fellow School of Medicine at the University of Wollongong and is CEO of Venus Shell Systems and PhycoHealth. Pia is a non-conventional scientist who has pursued a career spanning science, industry and community. Her foundations in marine systems ecology and a local perspective have shaped her journey from understanding global-scale disruption of molecular cycles to creating a new platform of market ready products from seaweed This talk was given at a TEDx event using the TED conference format but independently organized by a local community.